Ready to Sell your home? An organized home appears to be larger, creating the perception of more space. Spacious storage areas are one of the top features potential buyers look for when considering a home purchase. When potential buyers see a part of a house looking neglected, messy or unappealing, they begin to wonder what else may be ailing. Curb appeal is imperative to entice a prospective buyer to step up through the front door. An Eye For Order will provide recommendations to welcome a visitor into your home and create a great first impression! 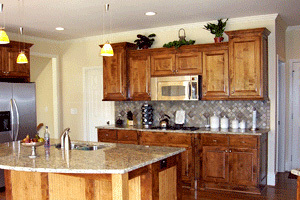 Staging is the process of preparing a home to be sold. It can be as simple as moving furniture around - or as elaborate as painting the outside. The scale varies, but the purpose is the same - to sell your house. Allows potential buyers to visualize the space better instead of relying completely on their own imagination. The more attractive your home, the sooner it will sell. Most often sell for substantially higher prices than comparable homes. You won't have the expense of moving things you no longer want in your life. Why should I hire someone else to help me "Stage" my home? A cluttered home can sit on the market for longer than you anticipated, costing you time, money, and frustration. It is not easy to look at your own home with an objective. Eye and know what to do first. Great investment that will pay you an excellent return. Provide assistance in arranging for removal of items. Assist in packing for storage of wanted items.